'Tis the season for kiwifruits! It's not everyday that we see kiwifruits around. I personally am able to eat the fruit only on special occasions, and would only know how to eat it... period. A lunch gathering at Cerveseria, Greenbelt 3 not only treated us delicious food and yummy kiwifruit drinks and desserts, but also gave us a short lesson on kiwifruits. Yes, another day of higher learning for me thanks to Zespri -- a brand recognized as a world leader in premium quality kiwifruits. The media briefing was hosted by Patricia Bermudez-Hizon and was attended by several online, tv, and print press people. 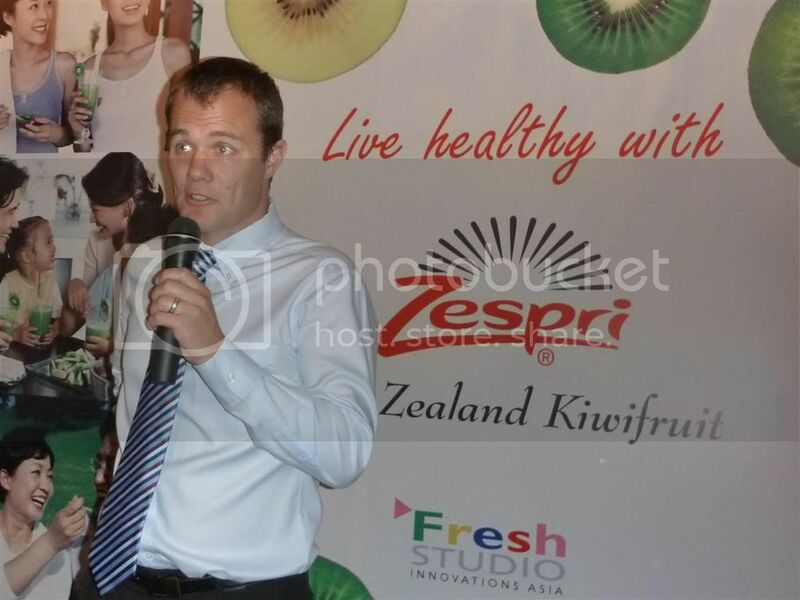 Flying straight from the home of the best kiwifruits is Steve Bunyan, Zespri's Regional Market Development Manager for Southeast Asia and South Asia. He was there to run through a series of slides talking about Zespri kiwifruits and its nutritious facts. With us too is Dexter Difuntorum of Fresh Studio Innovation Asia, the exclusive marketing arm of Zespri Kiwifruit in the Philippines. He showed us the ways on how to know if the kiwifruit is ripe, as well as how to properly eat it. Many years ago, the edible berry called Yang Tao or Chinese Gooseberry originated from China before being brought to New Zealand in 1904. By then, it was renamed as "KIWI" after New Zealand's national bird. 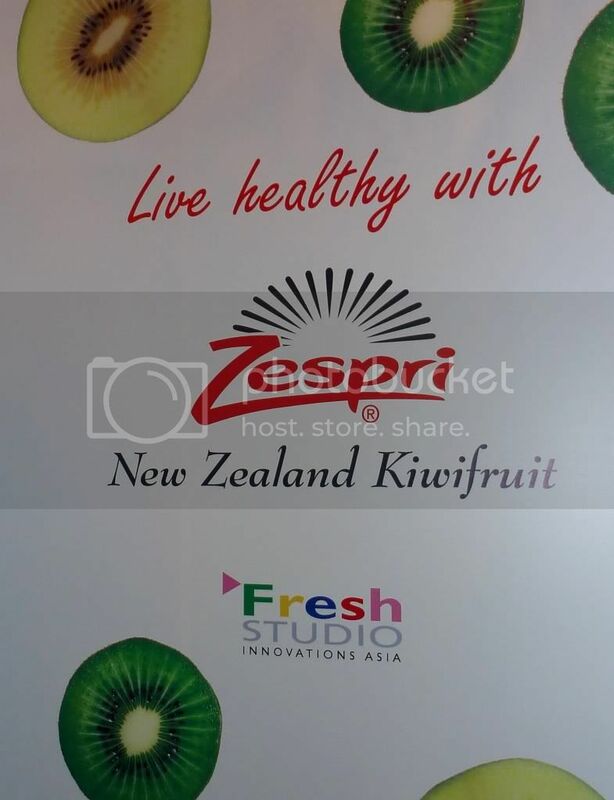 Zespri grows and distributes three kinds of kiwifruits worldwide, namely Zespri Gold, Zespri Green and Zespri Organic. However, only the Green and Gold ones are available here in the Philippines. While both kinds are juicy and delicious, you will be able to differentiate the two Zespri kinds by its color and taste. Zespri Green (The Classic Original) is the one with darker skin and has a tangy, sweet sour taste. It is available from May to November. I personally like this one, because I get to taste the best of both worlds - sweet and sour. On the other hand, Zespri Gold (New Tropical Sensation) has a smooth, hairless skin that is golden flesh in color and mostly dominated by its sweet taste. It is available from May to October. Zespri Gold kiwifruits are ready to eat right after they are picked, while Zespri Green's ripeness can be checked by applying little pressure on it. If the kiwifruit is already a bit soft, it's already ripe; otherwise, you need to wait for a couple of days for it to become ready to eat. More than the refreshing taste of kiwifruits, it is also packed with many nutrients good for the body. Among the nutrients we can get from this powerhouse fruit are Vitamin C, Vitamin E, Potassium, Fibre, Magnesium and Zinc. Zespri kiwifruits are also low in calorie and has low glycemic index, which means that we get nutrients less the calories. It is low in fat too! 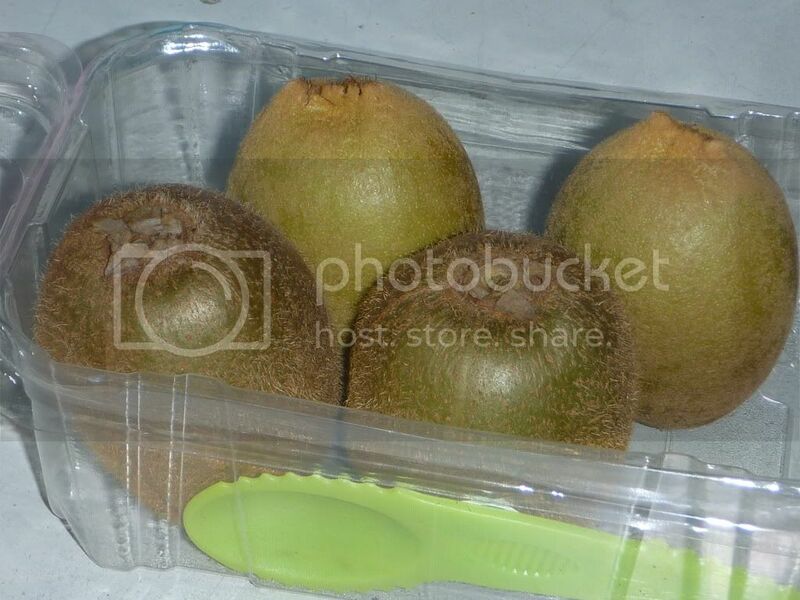 There are 2 simple ways to eat Zespri kiwifruits -- Cut & Scoop or Peel & Slice. Using the yellow spoon-knife included in the package (as pictured above), you can simply cut the kiwifruit in half (even with the skin) and scoop the meat directly. If not, peel the skin off and slice before eating. 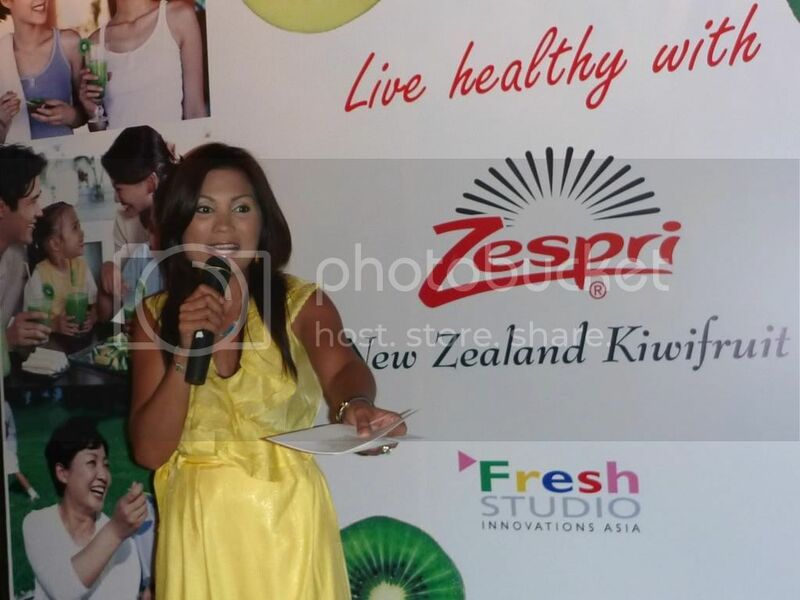 Zespri Kiwifruits are exclusively distributed in the Philippines by Elite Marketing. It is available in various supermarkets (e.g. SM Supermarket, etc.) and costs around Php20 to Php32 per piece. Aside from eating kiwi as a normal fruit, you can make a fruit shake, serve with desserts like panacotta or mix with vegetable salad. Several other recipes are available online via Zespri's website. Enjoy eating, but like with anything, eat in moderation. Too much of something is bad for us. Spread the word about this kiwi goodness.